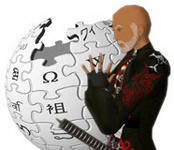 Say a term or a word, and the ring will search it in wikipedia, getting the information directly to your second life ear. Yaniv Steiner, Experientia’s director of R&D, has been working (together with some of our other collaborators) on Feedamass, a new application that can take information from Wikipedia, Google Definitions, and what not, and send it in a clear text format to almost anything. In other words, you ask a question and Feedamass answers it immediately, e.g. as a text message on your mobile phone. Now it has been implemented in Second Life. Feedamass, the “know-it-all” sidekick that fetches information to nearly any device, is also eligible to function on virtual spaces as well. Second Life, for instance. Its services might be needed not just in the real world, but habitantes of online communities, and their aliases, might also find it useful to have answers “whispered in their ears”. From word definitions to encyclopedic entries, from “what’s ‘Gesundheit’ in spanish” to “how to change my avatar’s hair-style”, Simulated characters will surely encounter the necessity to know stuff. And just as people employ Feedamass to retrieve content as SMS to their mobile-phones, as an example, web entities might also like to send out for data, without leaving the screen. Feedamass can manifest itself on different interfaces. It can be part of a toolbar, or a HUD (Head Up Display), just like it is able to take the form of a chatting contact on an IM application, or an E-mail address to where queries are sent.